LG is set to release two new variants of its G6 flagship in South Korea on June 30. The largest difference between the 64GB base model and the new LG G6+ and G6 32GB (previously called "Pro") is in the internal storage department - G6+ will come with 128GB of internal memory, while we're pretty sure that you can guess the amount on the G6 32GB. However, G6+ will also come with wireless charging in certain markets, a feature which was restricted to the US variant of the initial G6. A high-quality pair of earphones from B&O PLAY will also be included in the "plus package". Last but not least, the 128GB version will come in Optical Astro Black, Optical Marine Blue, and Optical Terra Gold, hues which are enhanced by a lenticular film applied on the back of the device that delivers an interesting visual effect. In an earlier press release, the company stated that Optical Marine Blue and Optical Terra Gold will make the transition to the 64GB model as well. 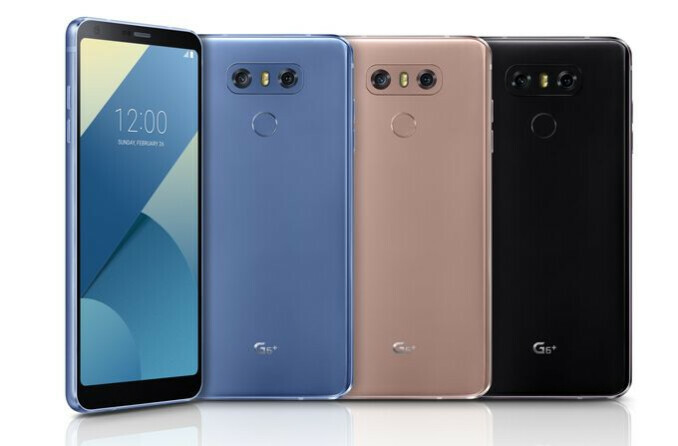 As for the price of the new additions, YonhapNews cites a price tag of 957,000 won for the G6+ and 819,500 won for the 32GB. When converted to US dollars, these stand at about $839 and $718, respectively. Still, prices in other markets are likely to differ from the ones in South Korea. Beyond the two new models, the company is also presenting a range of software enhancements across its entire G6 line including Face Print, Low Power Consumption, and Covered Lens warning. The first one is the most interesting as it uses facial recognition to let users unlock their phones in less than a second by holding the handsets to their faces. The Covered Lens warning feature helps users prevent the LG G6 cameras from capturing unwanted fingers in the frame, while Low Power Consumption further reduces the phone’s power consumption. According to LG, the new features will come to all LG G6 units with a software update. At the moment, it is unknown when or which markets will get the two new models, but LG has stated that announcements will be made locally when the time comes. still not using the SD 835? Seems like an odd choice.